A nature trail deep in the countryside or an arduous trip to the mountains can be spiritually stimulating and help recharge your batteries. However, an unexpected fall while lumbering through a jagged track or your backpack getting torn or the sleeping pad becoming leaky could mar the trek and make it woeful. Therefore, it doesn’t need to be exaggerated that tossing an emergency survival/repair tool kit inside your backpack is a must. 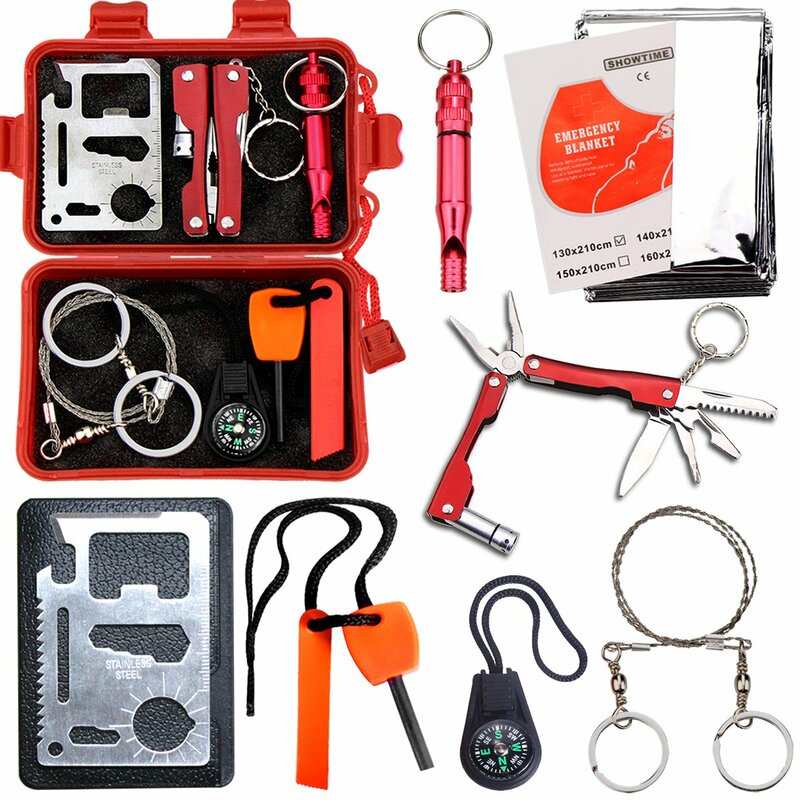 The Outdoor Emergency Gear Kit from EMDMAK comes equipped with a range of emergency tools that a day hiker as well as those trekking to remote locations will find handy. 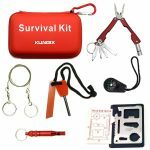 There are six vital implements packed inside a sturdy and waterproof case and a survival blanket too has been included. The LIVABIT First Aid Safety Tool F.A.S.T contains a set of emergency/survival gears that hikers, mountaineers, hunters, and adventurers can make good use of. 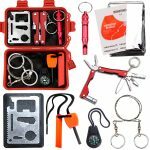 The hard case houses a wire saw, multipurpose flashlight pliers, emergency whistle, compass, and multifunctional tool card. You can light up a bright and warm fire even when it’s freezing cold, suspend a hammock or chip firewood with the help of Outdoor Emergency Survival Gear Kit from Kungix. 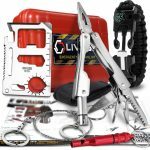 A stainless steel tool card, flashlight piers, emergency whistle, compass, and fire starter come packed in a zippered waterproof case. EMDMAK is well-known for coming up with handy survival tool kits and the above outdoor emergency gear kit perfectly embodies that. This outdoor emergency gear kit comprises of a tungsten steel pen, a shelter tent, and multifunctional pliers amongst other items. A hiker planning for a trek to a location that is far away from the trailhead cannot afford to do without a repair/emergency survival tool kit. 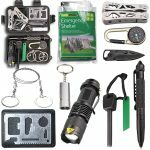 Each and every survival tool kit assessed in this review included the basic minimum gears necessary for surviving in the wilderness. However, the tool kits from EMDMAK stood out from the rest.